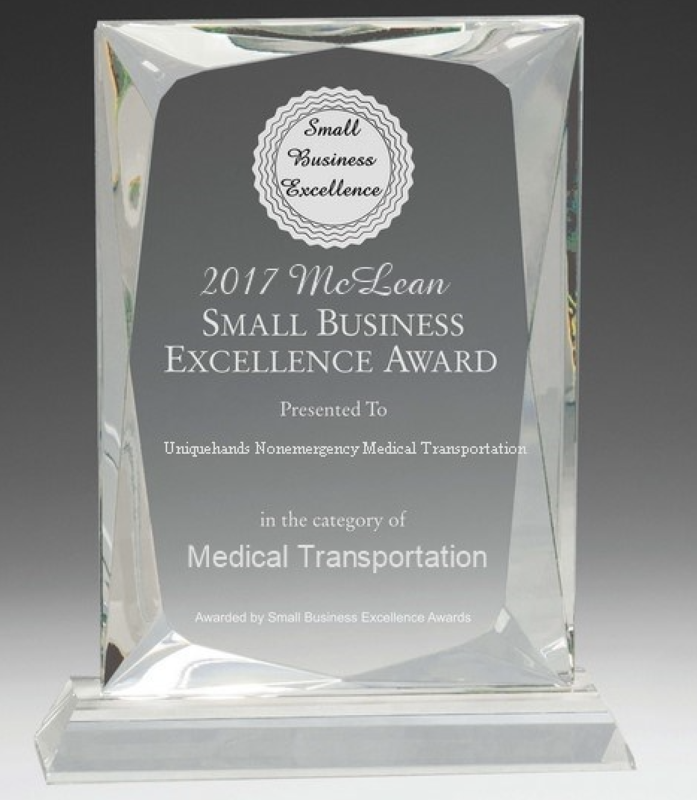 McLean, DC - October 05, 2017 — Uniquehands Nonemergency Medical Transportation has beenselected for the 2017 McLean Small Business Excellence Award in the Medical Transportation classification by the McLean Small Business Excellence Award Program. Various sources of information were gathered and analyzed to choose the winners in eachcategory. The 2017 McLean Small Business Excellence Award Program focuses on quality, notquantity. Winners are determined based on the information gathered both internally by the McLeanSmall Business Excellence Award Program and data provided by third parties. The McLean Small Business Excellence Awards recognizes outstanding small businesses thatserve the McLean area. Each year, our selection committee identifies businesses that we believehave achieved outstanding marketing success in their local community and business classification.